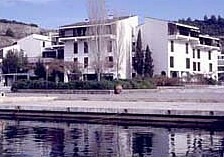 This hotel complex is divided in three separate buildings, the Meliton Hotel, the Sithonia Hotel and the Village Inn Hotel. This property is located directly on a sandy beach 1600 m long, surrounded by beautiful gardens. The hotel offers several restaurants and bars, swimming pool, TV room, mini market, hairdresser, boutiques, open-air cinema and shopping arcade, 24 hours room service, a children "mini club" where children are supervised mornings and afternoons by qualified personnel, this club has it's own private children's pool, playroom and children's menus. Sport facilities are: 9 tennis courts (3 with floodlit), water ski, a water sport school, an 18-hole golf course, horse riding club, professional scuba diving school, fully equipped gym. All rooms have private marble bathrooms, air-condition, satellite TV, fridge, direct dial phone and balcony or terrace with sea view. 446 bedrooms and suites are tastefully decorated with private bathrooms, balcony/terrace, direct-dial telephone, refrigerator, air-conditioning and heating. Guests may relax in the comfortable lounges or on the terraces. TV/Video and card rooms are available. The Meliton has a 1,600 meter private beach and swimming bays. Alternatively, visitors may relax beside the large outdoor sea-water pool. The hotel offers indoor and outdoor dining to suit every mood and taste in its restaurants and bars. The fantastic location of the Food & Beverage outlets combines ambience with culinary heritage. Animation program with professional animators is offered with daytime and evening activities. In the mini club there is attentive and reliable care during mornings and afternoons by qualified multi-lingual personnel for children 3-12 years old. A wide variety of shops lies on the Marina level offering the guest the opportunity to shop in a relaxing environment. The shops include Jewelry, mini market, boutique, hairdresser, general store, clothes and photo shop. Located about 500 yards from the Meliton, this Hotel has 448 rooms with marble bathrooms, terraces, telephones, satellite TV and individually controllable air conditioning. A variety of Food & Beverage outlets is there to satisfy all tastes. There are several shops in the lobby area, one nightclub and meeting rooms. The hotel offers indoor and outdoor dining to suit every mood and taste in its restaurants and bars. The fantastic location of the Food & Beverage outlets combines ambience with culinary heritage. Animation program with professional animators is offered with daytime and evening activities. In the mini club there is attentive and reliable care during mornings and afternoons by qualified multi-lingual personnel for children 3-12 years old. A wide variety of shops lies on the Marina level offering the guest the opportunity to shop in a relaxing environment. The shops include Jewelry, mini market, boutique, hairdresser, general store, clothes and photo shop. Attractively situated on the Marina waterfront this hotel is built in Byzantine monastic extensive courtyards style. With 88 rooms it is ideally suited to the accommodation needs of the visiting yachtsman and crews. All rooms have full air conditioning, satellite TV, direct dial telephone. The hotel offers indoor and outdoor dining to suit every mood and taste in its restaurants and bars. The fantastic location of the Food & Beverage outlets combines ambience with culinary heritage. Animation program with professional animators is offered with daytime and evening activities. In the mini club (Meliton Hotel) there is attentive and reliable care during mornings and afternoons by qualified multi-lingual personnel for children 3-12 years old. A wide variety of shops lies on the Marina level offering the guest the opportunity to shop in a relaxing environment. The shops include Jewelry, mini market, boutique, hairdresser, general store, clothes and photo shop. The conference and banqueting facilities are renowned throughout the business community. The numerous conference rooms accommodate up to 450 guests and can be fully equipped for all technical requirements. Two magnificent theaters and a wide range of additional venues can satisfy the most demanding organizer. The resort prides itself on its superb catering and quality of service for private functions. The Gina Bachauer Hall possesses a modern staging and lighting equipment, with facilities for simultaneous translation into any combination of up to four languages. The Apollon Theater has a seating capacity of more than seven hundred, and is built outdoors in the traditional Greek amphitheater style. 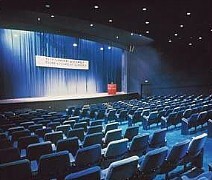 It can be used for live performances or for cinema presentations. GOLF: The Golf Course has been planned and is being rebuilt to present a challenge to the good golfer and yet not discourage the less experienced. It is an 18-hole, Par 72 championship course and one of the most beautiful in Europe, with the blue water of the Aegean sea on one side and hills and mountains on the other. Clubs, trolley rentals and driving range available. TENNIS: There are currently nine tennis courts available. Floodlighting is available on three of the courts to allow for play during the evening. A Tennis instructor is always on hand. 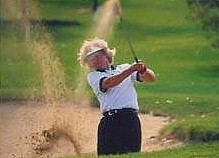 Famous International tournaments are taking place every year in PORTO CARRAS. HORSE RIDING: This could be one of the most pleasurable sports at Porto Carras. Riding trails have been laid all over the estate, enabling visitors to explore the countryside on horseback. A stable of well-trained horses offers a choice ranging from spirited mounts for experienced riders to gentle animals suitable for beginners and children. A riding mast is available to supervise and instruct. SCUBA DIVING SCHOOL: With over than 15 years of experience it is the warranty for a secure training. Several courses are offered, such as open water, advance diver, medical first aid/rescue course, dive-master. WATER SPORTS AND MOUNTAIN BIKE STATION: The picturesque indented coastline of bay and coves, the clear water and steady breeze blowing over the 26 mile gulf of Kassandra makes PORTO CARRAS a particularly favored spot for all water sports. The water temperature between April and November ranges between 16-26 Celsius. Water Sports facilities featured at the resort include: Water Skiing, Wind Surfing, Laser sailing, Pedalo boats and other popular sea activities. 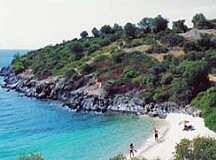 Porto Carras stretches along 10 kms of unspoilt Coastline. There are 34 secluded Sandy coves, each lapped by crystal clear waters and each offering a peaceful sanctuary for quiet enjoyments. FITNESS CLUB: A fully equipped fitness club is located in hotel Meliton. Other Sports facilities include: Two Volleyball courts, one Football court, one Basketball court, Beach Volley courts.